Insulated, lightweight, and breathable glove designed to enhance performance while resisting the elements. 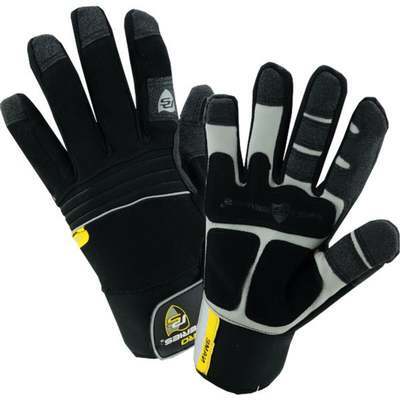 Features a synthetic leather palm, PVC fingertip patches, and waterproof synthetic leather palm patches. Spandex back, neoprene knuckle, waterproof lining, neoprene hook & loop adjustable wrist strap, neoprene web at wrist strap opening.